The holidays are a time to relax with family and friends. Eat too much food and take a few days off to play some golf. It is also a time where people will put thought into giving gifts to people that they love (or to themselves if they feel like it!). We have created the perfect holiday Christmas gift guide to help you stay stress free this season. Everything is absolutely necessary and essential to the everyday golfer as well as the casual player. Still clue less on what to give for your someone special? You are on the right page! Check out our holiday guide specially made for you.. When I am on the golf course, there are 2 things that I absolutely hate carrying (cash and my cell phone). Because I need my pockets free for more important things such as golf balls and tees. Beer. On the course. Off the Course. In your Office. At your Dining Room Table. In your living room. It’s good anywhere, but if you don’t have 2 bottles or if you aren’t amazingly skilled with your teeth or forehead, then a bottle opener is critically necessary. Why not put two of your greatest loves together. A golf ball bottle opener that talks. It says a bunch of clever one line openers with real game time sounds. It’s the ideal stocking stuffer and gift to keep around the house or at your office. Make sure everyone knows how much you love golf. Etiquette and sophistication are essential on the golf course. Whether you are just starting or are a senior golfer, you need to look good while playing golf. Accessory pieces don’t need to be expensive. They just need to be practical and useful. The McJim Canvas Belt is one of those things that you need to “invest” in at a mere P500. It has a little give for continual use during the time that the holiday feasting may get the best of you. It has a nice matte buckle and comes in various colors (white blue, khaki, and black). You probably should just buy them all. Spare Golf Balls. Keys. Cash. Spare Golf Balls. Cell Phone. Tees. Spare Golf Balls. Our members have always complained about having to carry too many things in their pockets without enough space. Sure, you could leave your stuff placed anywhere in the deep abyss of pockets in your golf bag. This is a light, WATERPROOF organizer that helps you focus on just the game. 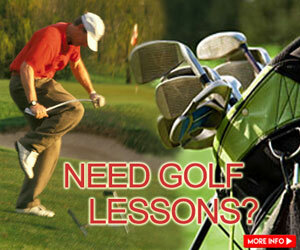 Want to learn how to Golf or get better? Want to teach a friend, but don’t have the patience? Here’s your chance to learn from one of the country’s top teaching professionals Buddy De Joya. – Will teach you the basic fundamentals and give you the proper foundation for the game. 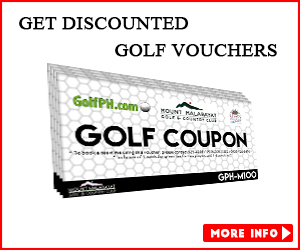 – Best suited for beginners and high handicap players. – Lessons can be taught anywhere in the Metro Manila area. Buddy De Joya has over 20 years of teaching experience and is certified by the Heartland Golf Teaching Professional Club (HGTPC) in the United States. He is also certified by the Philip Morris Professional Golfers Association of the Philippines Teaching Academy and was the former Head Professional at Orchard Golf and Country club. Buddy has also written instructional articles for Golf Digest Philippines, Golf Magazine Asia, and Business World. Take advantage of The Beginners Golf Package today! After work I am Beat. That is why one of the my favorite things to do before I go home is to leave work a little bit early and grab a 9 hole at my local course. Just me, myself and I… oh and the caddy too. I like to wind down, breathe in the fresh air, pop in my earphones and clear my head before I go home. These Polk Audio Ultrafit earphones are made just for that. Designed for sports, they will not fall out when you walk up and down the course. Nor will they get in the way as you swing the club off the fairway. They look pretty cool too and sound great. Sperry pretty much stands for quality and comfort. Every man needs a basic shoe that can be dressed up or dressed down. Worn with khakis or jeans. Used in the clubhouse or before the round. It also works perfectly with polo shirts. Not everyone likes the boat shoe look, which is why we love the Sperry CVO sneaker so much. It’s the shoe that works for every man. Four championship courses at a rate that’s cheaper than most public courses here in the Phlippines. Take your pick from some of the best golf this nation has to offer. Celebrate with friends and make them feel extra special that you are giving them a gift far greater in value than what you signed up for. Nothing worse than not being able to blame a bad shot on the sun being in your eyes, so you might as well just invest in a pair of sunglasses that you can wear on & off the course. These Diesel sunglasses with grey/gradient lenses help you play your next round with clear vision and receive a lot of compliments while enjoying a beer after a round of 10 below your normal score. OK, so there’s no promises here that it will make your game on the course better, but it will help and may help your game off the course too. The reviews pretty much sell you on this watch as a must have. It’s the best the smart watch world has to offer right now because it works with an Android phone. It is the Pebble Smart Watch (comes in 3 different colors – white, silver, black) and it is a great way to show your personality through your watch. There’s voice navigation, you get your text and call notifications right away, and it’s waterproof. It’s customizable with different straps you can buy and you can change the interface to be exactly the way you want. Plus you can set it up so that the apps (golf sports news) pop right up on your screen and you will be able to use the e-reader right on the watch. Honestly, the list of features go on and on, which is probably why this is rated 5 out of 5 stars with 219 reviews. Christmas doesn’t need to end on December 26 this year. 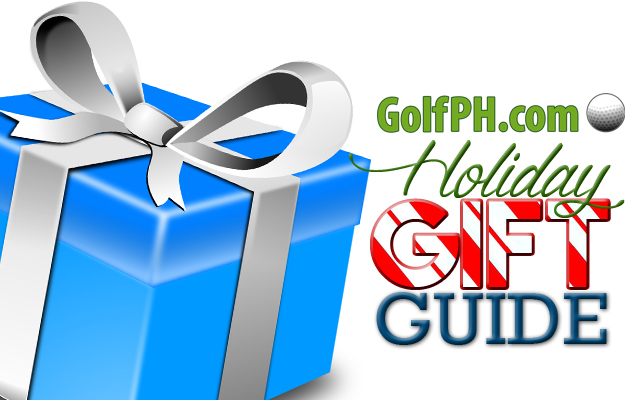 Continue the celebration by taking a weekend off to golf in Bacolod. Experience some of the best this province has to offer. Try something new and start the year off right. Another essential piece to the common man. A leather laptop bag. it fits any size up to a 16 inch screen and is extremely soft. If you want to buy a gift that will be used all year round, then this is critical to any fashion and business piece for any working man. It has a lined interior, which shows it’s not cheap plus extra pockets and compartments inside for easy organization. If you don’t have one. You are missing out. I only put these on here because I want them myself.. They got Nike’s latest technology and look pretty cool with their bright neon accents. They’re also in the same line as what Rory and Tiger are using right now. Check out Harry’s Nike Vapor Irons Review for more info. Have you ever walked into the clubhouse and seen someone’s bright red arms protruding over the counter while holding an ice cold glass of beer? Tomorrow those arms will be burning, but you know what’s worse? Having a burned forehead or pretty much anywhere on your face. The common golfer will only apply sunscreen once before their round of golf starts. The common golfer sweats it off within the first hour. We strongly advise you pick up one of these Titleist Visors and make sure you don’t walk around regretting being without it. Of course we cannot end this article without a little self-promotion. 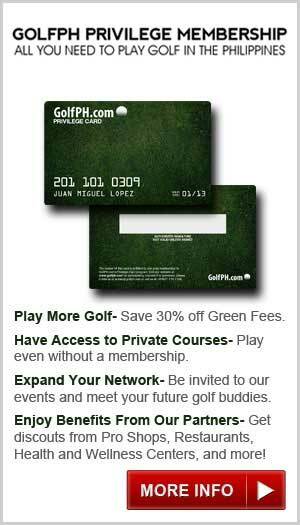 Give you or your loved one the ability to play at over 43+ Golf Clubs in the Nation. Take advantage of our Christmas Sale. This is literally the only membership you will need to golf in the Philippines. So what are your thoughts? Anything we missed that should have made our list. Let us know in the comments below.